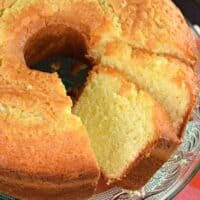 Old fashioned, best ever, 7 Up Pound Cake recipe! 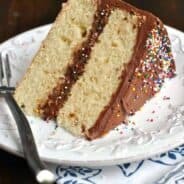 You’ll love this classic cake with it’s perfect texture! Ever find yourself on the hunt for the “PERFECT” recipe. I mean, if you go on Pinterest, I’m sure you’ll see lots of titles for “best ever” and “perfect” for whatever recipe it is you’re looking for. I can’t help it, I’m guilty of it too! I’ve titled a few things as the Best Strawberry Mojitos, Best French Onion Soup, and Best M&M Cookies. Oh, and let’s not forget the Perfect Vanilla Cheesecake, Perfect Rice Krispie Treats, and Perfect Chocolate Chip Cookies. I try to not use the term lightly, although I stand by every single one of those recipes. 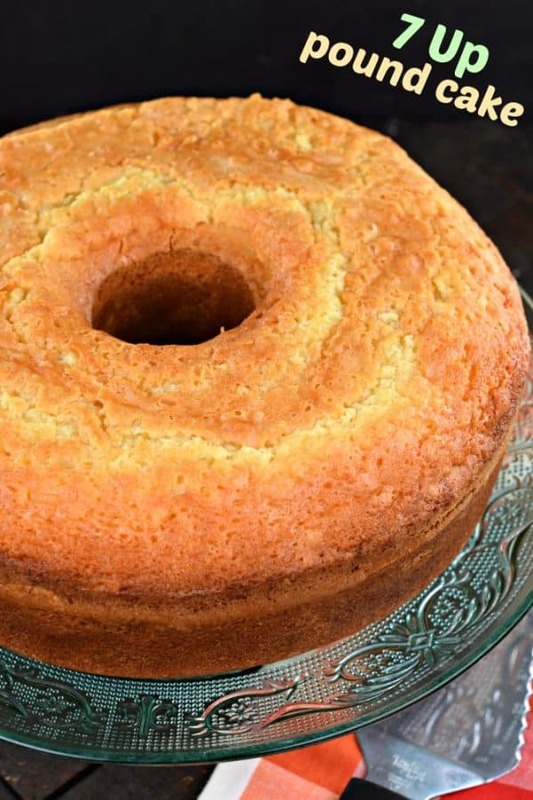 Today’s pound cake recipe is THE BEST POUND CAKE ever. I made a similar version several years ago, using CHERRY 7up and a cherry glaze. It was so good. I had been meaning to make a plain version though, one that is flexible with toppings. This is the pound cake we make every year now to use with chocolate fondue! It’s also delicious in trifles, as well as eating plain. However, I love to dress up pound cake by serving it with some whipped cream and berries. Sadly all the strawberries in the store looked pretty pale red, so instead we used Strawberry Pie Filling. A delicious substitute and perfect for Valentine’s Day! For a tasty twist, add a couple teaspoons of almond extract. Oh my word. 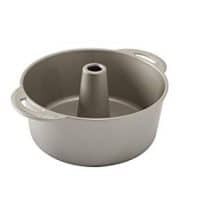 First, make sure you use a large bundt cake, or tube pan. This is a BIG pound cake, and it rises high, so make sure you’re not using a pan that is too small. I once made it in a 12 cup bundt pan and it didn’t overflow, but it rose way above the top. It was quite a sight! Second, use unsalted butter. I prefer to be able to determine how much salt I use in recipes, so I ALWAYS buy unsalted butter. Let it soften on your counter. When it’s time to beat the butter, you want to do so for a good couple minutes, then add in the sugar and salt and beat an additional 5-7 minutes, using an electric mixer with a whisk attachment. Scrape down the sides of the bowl periodically, and beat that butter until it’s soft, smooth, and very pale in color! Cake Flour. Yes, it’s necessary. I know you’re going to ask me this question, and my answer when it comes to cakes, is always use cake flour. It creates the perfect texture and crumb when it comes to baking a cake. Just do it. You can also google how to make your own using regular flour and cornstarch. Once you’ve added in your flour do NOT overbeat. I mix JUST until the flour is incorporated, then I use a spatula and mix gently without the electric mixer. 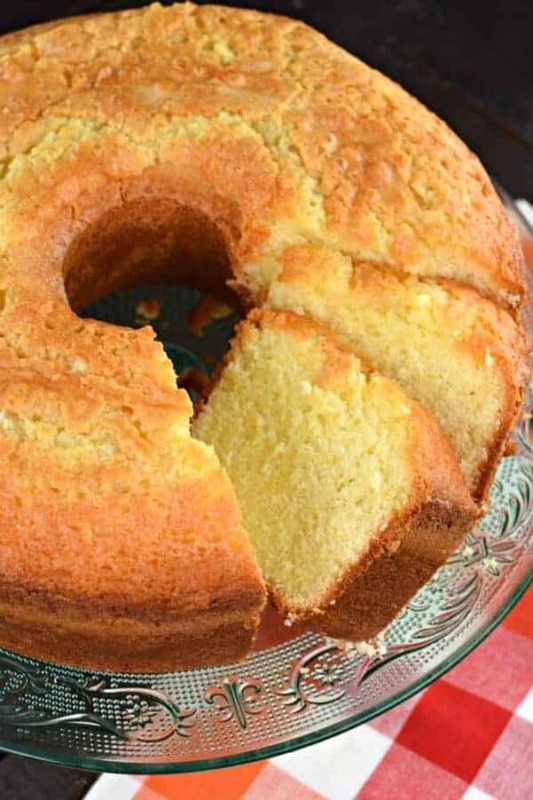 Old fashioned, best ever, 7 Up Pound Cake recipe! 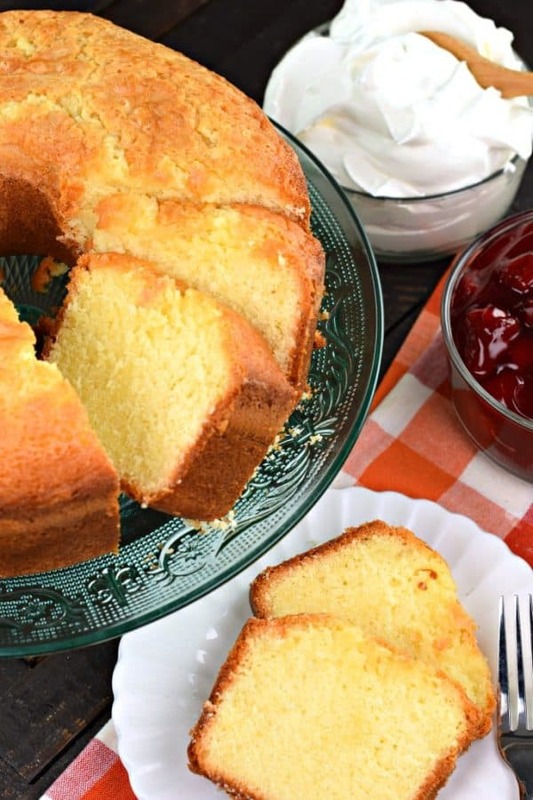 You'll love this classic cake with it's perfect texture! Preheat oven to 315 F. (yes, it's a lower temperature than normal). Prepare a large bundt cake, or tube pan with nonstick baking spray, set aside. In a large mixing bowl, attached to a stand mixer fitted with a whisk attachment, beat the butter for 2 minutes on high until pale in color. Add in sugar and salt and cream together for an additional 5-7 minutes, scraping down the sides of the bowl a couple times. Mixture will be very pale yellow and fluffy. Add in the eggs, one at a time, beating well after each addition. Slowly add in flour, being careful not to over beat (turn the mixer down to low at this time). Pour in 7 Up and mix just until combined. Pour batter into prepared pan and bake for 75-85 minutes, or until a toothpick inserted into the center comes out clean. Allow the cake to cool in pan for about 10 minutes, then invert on serving plate. Cool completely. ENJOY! Is bread flour and cake flour the same thing? Can you use diet 7UP instead of regular? 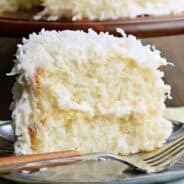 I never tried a 7up cake, but it looks so fluffy and delicious I simply have to try it! Difference in cook time/temp in convection oven? I’m sorry I haven’t tried it in a convection oven. I would like to know can you use regular flour instead of cake flour? and I would like to know on the same of the bread . 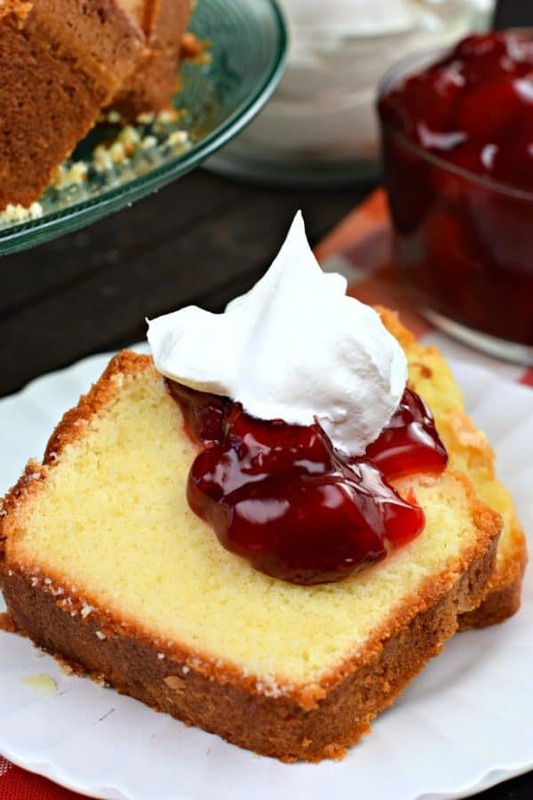 I make 7Up Pound Cakes all the time, so I will make this today or very soon. I have never used the lime flavors, I love baking different things.Which do you think is best regular flour or cake flour?? Can you cook this in 2 loaf pans. Your cake looks very good. Love moist dense pound cakes and this looks fulfills all the requirements! What a lovely cake. I’ve made baked goods with soda before, usually in the brownie category, and know this is going to get tested really soon. I love how fluffy this cake is! A slice of it would be perfect with a cup of coffee! Wow I never would have thought to use 7 up! Sounds yummy! This is one of my favorite recipes! Thank you so much! I love this plain version because I’m all about the toppings and Cool Whip! Yum!!! This is a classic. Love the flavor the 7 Up adds! Such a classic recipe! I haven’t made this in ages! Can’t wait to try it again!! In the 7 up pound cake list of ingredients you didn’t mention cream but did in instructions. 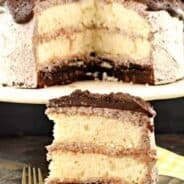 So what is the correct ingredients for this cake? I have celiac disease can I use a gluten free cake flour? Should the 7up Be room temp or cold? I have made this cake on and off for 30 years. I never had trouble using all purpose flour though. More often than not I made it with half orange juice and half seven up and regular salted butter. But I have always considered recipes as suggestions , as I put my own twist on most things I make. Enjoy bakers!!! Aimee, both times I have made this cake it did not rise as it should have. I followed the instructions, and even bought the type of cake pan that was recommended. Any ideas?